teatogo is the perfect solution for the steadily growing target group of out-of-home consumers. teatogo allows them to enjoy high-quality leaf teas even when they are on the move. We offer our business clients two innovative convenience formats. Both are also available as private labels! The black and green teas, as well as fruit and herbal blends that we’ve selected for the teatogo range are among the most popular varieties and are guaranteed to meet the taste of your customers. Easy, fast, delicious and to go! Practical for the service and self-service sectors. 1. Place the lid with the integrated teabag on top of the cup full of hot water. 2. After the brewing time has elapsed, pull the tea bag into the chamber of the lid – no spills, no need to get rid of the bag separately. 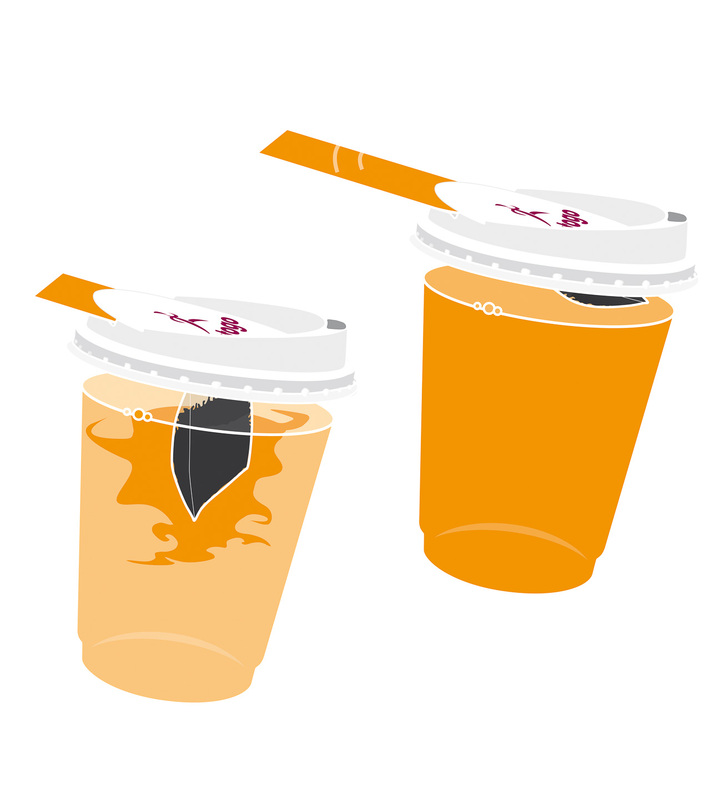 You can continue to use the to-go cups you already have: our patented teatogo lid fits a wide range of standard to-go cups. Tea bag with a clever twist: a perfect added option for your in-house consumers. The tea bag is conveniently hung over the edge of the beaker and remains in place thanks to the patented fold in the label. Or perhaps you’d prefer to take it ‘to go’ after all? The mug bag can also easily be combined with the teatogo lid as needed.